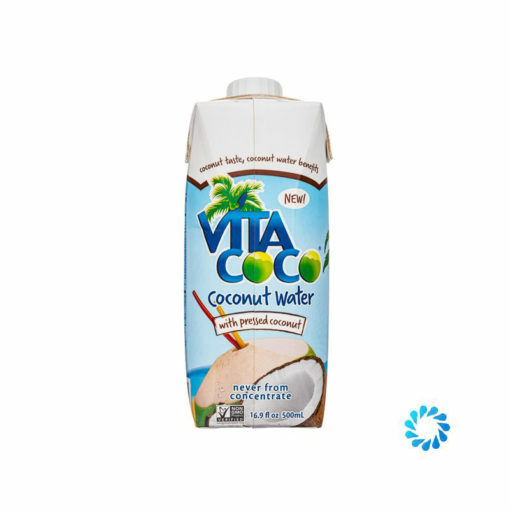 Vita Coco pressed coconut 500ml delivers the coconutty taste you love with the coconut water benefits you crave. Simply shake and enjoy for all the goodness that coconuts have to offer!. Moreover, it is also the longest serving coconut water in the Aqua Amore catalogue – since April 2009. That’s your body craving the electrolytes and nutrients inside every pack of Vita Coco. We’re talking potassium, magnesium, calcium, sodium. & Vitamin C.The coconut water in a Vita Coco Tetra Pak carton is packed with naturally occurring electrolytes. For the past ten years (and counting) Aqua Amore have delivered Vita Coco to homes, yoga studios, offices, gyms, restaurants, cafes and… (you get the point!) in our own vehicles from our South London warehouse. We’re proud to work in partnership with our friends at Vita Coco to bring you excellent offers and promotions. Needless to say, Vita Coco is a coconut water that is never from concentrate, is suitable for vegetarians, is dairy free and suitable for vegans. It’s also very tasty and popular.